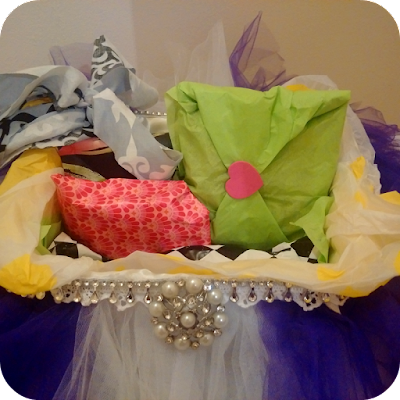 Tutu baskets, as the name suggests, are baskets with tutus. They're really pretty, and make great gifts, flower girl baskets, hamper baskets, and even table centrepieces. 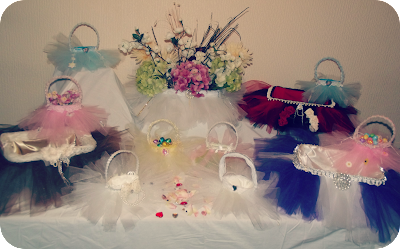 My mum made all the baskets in the picture above - she sells the little flower girl type on eBay, and makes them to commission if people are looking for a particular colour scheme. You can check out her eBay HERE. Or, you can read on to win one of three tutu baskets! Small flower girl oval basket (about 8cm across) with pink tulle tutu and daisy embellishments. 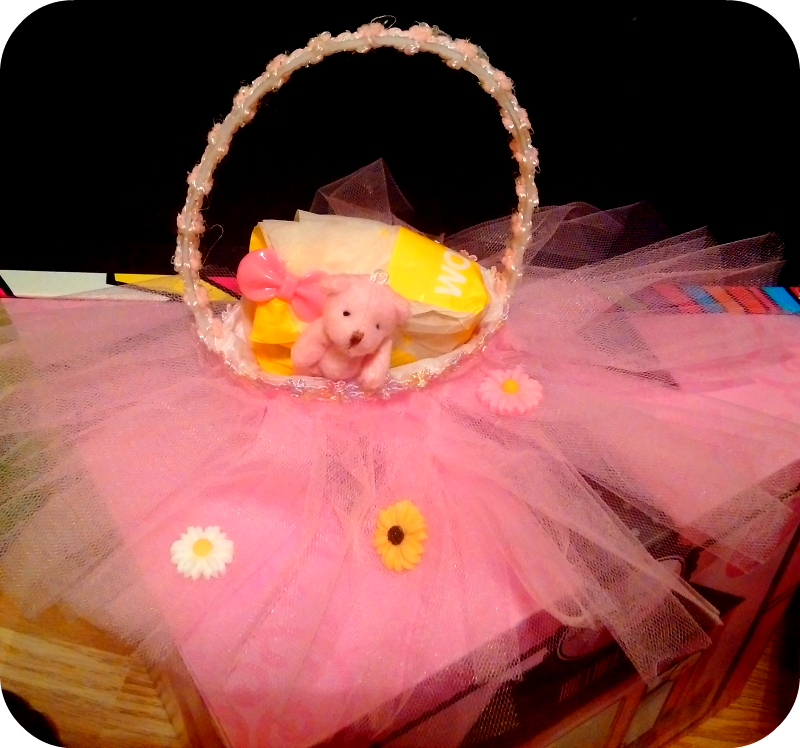 Inside is a little pink teddy and a small package with sweets and hair clips. Small flower girl oval basket (about 8cm across) with blue tulle tutu and snowflake / Frozen embellishments. 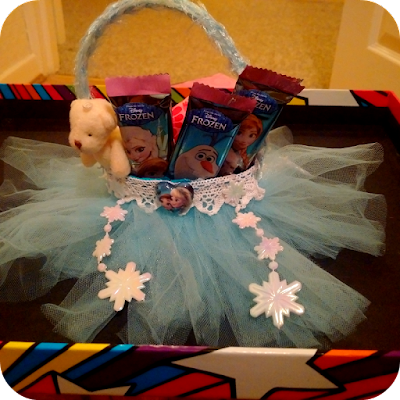 Inside is a little cream teddy, three mini Frozen chocolate bars, and a small package with hair clips. 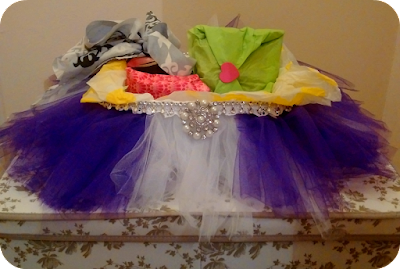 Large rectangular basket with white and purple tulle tutu and sparkly embellishments. 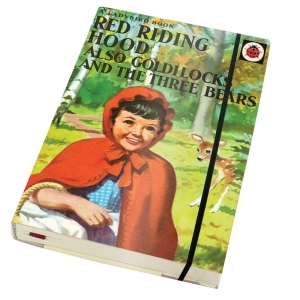 Inside there is a package of sweets (including chocolate limes - Anthony's favourites), PHB Rosehip & Geranium soap, Little Red Riding Hood notebook, purse, bracelet, and lots more! To enter, just fill out the Gleam form below. T&Cs: UK entrants only. There will be three winners - prizes are as shown, no alternatives or cash equivalent offered. Winners will be notified by email and have one week to respond with their postal details. If you like the idea of winning stuff, please check out my other giveaways HERE. Don't really have a favourite but I do like mint. Blue has been my favourite colour since I could choose a favourite colour!! In general I like natural colour greens. It's currently purple, but blue and teal are close seconds. My fave colour at the moment is green but it's good to ring the changes and try something different - like purple! Love purple! Purple all the way! The pink is super cute! Love the baby blue to! My favourite colour is blue..